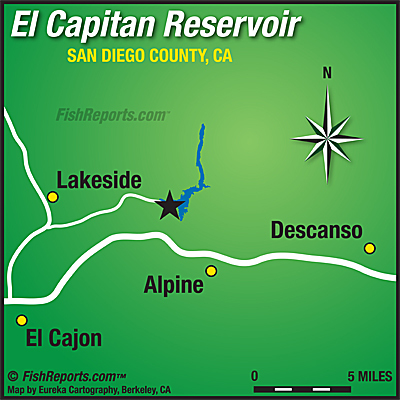 The Bass bite is slowing down here El Capitan but the Bluegill and Catfish bite has been excellent. The water level is down so the Bluegill bite is much better. Bass are biting on nightcrawlers, red and green plastics worms and micro bait. Bluegill are bitting on red worms and crickets. Crappie have just started biting. We are now open for the winter months. Saturday and Sunday from 6am-4pm Friday, Monday and Tuesday we are open for boat rentals only. If you come to rent a boat during the week just ring the service bell at the concessions. Get your bait here at the main store, we also sell snacks, permits and ice.